Diaz faces former middleweight champion Anderson Silva Jan. 31 at UFC 183, just 13 months removed from the Brazilian's catastrophic leg break suffered in his rematch with Chris Weidman at UFC 168. UFC ‘money weight’ Nick Diaz may be the best and worst representation of a martial artist in modern MMA. 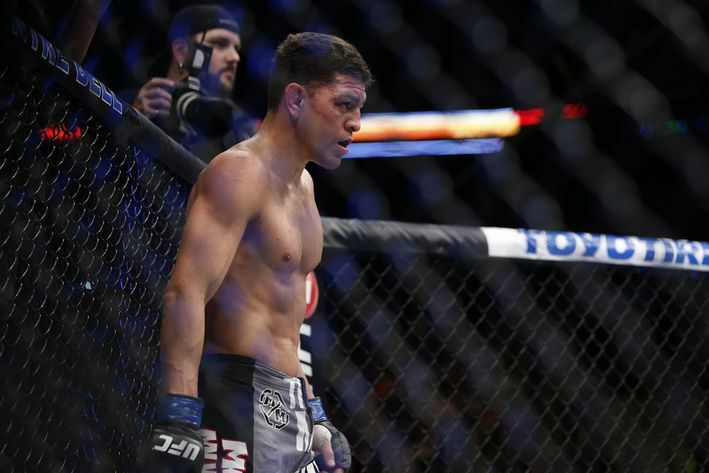 That aside, many feel that Diaz will target Silva’s former injury during the fight. “When someone tells you a fighter’s injured and they tell you to go after an injury, it really throws you off,” Diaz told media in Las Vegas (via Yahoo! Sports). With even Silva admitting his own reservations over the readiness of the surgically repaired limb, Diaz certainly couldn’t be blamed for going right after it. “I fought someone a long time ago,” Diaz said. Diaz and Silva will square off in a five-round non-title fight in the UFC 183 headliner on Jan. 31 at the MGM Grand Arena in Las Vegas. Tickets are now on sale and can be purchased via StubHub HERE.